If the Canadian retail industry is looking for a new sales motto, they might want to consider 'Ship It, or Lose It' as new data from Canada Post to be presented Tuesday found that about 76 per cent of Canadian households shopped online last year. If the Canadian retail industry is looking for a new sales motto, they might want to consider, "Ship It, or Lose It." After years of dabbling in online shopping, eager consumers looking to spend their money on e-commerce are delivering a wake-up call to retailers. New data from Canada Post to be presented Tuesday found that about 76 per cent of Canadian households shopped online last year. Of that percentage, about a quarter of Canadians have become "frequent" shoppers, which means they're buying on the Internet four to 10 times per year, the data says. "Consumers are dipping their toe into e-commerce, testing the waters, and becoming very quickly converted," said Danielle Doiron, director of parcels and e-commerce market development at Canada Post. "And the type of products they're purchasing online has expanded." Doiron will present the Canada Post findings on Tuesday at the Etail Canada retail conference in Toronto. The postal service conducted the study by tapping into data compiled from some retailers who ship packages through the mail and the customers who receive those packages. Canada Post also found that shoppers will buy products online they wouldn't have just a few years ago, including toys and games, which saw shipments rise by 37 per cent in the first quarter of 2015 compared to the same time a year earlier. One of the biggest hurdles for retailers has been how larger products are shipped to the homes of customers who want their purchases fast, but don't necessarily want to pay the elevated fees associated with expedited parcels. 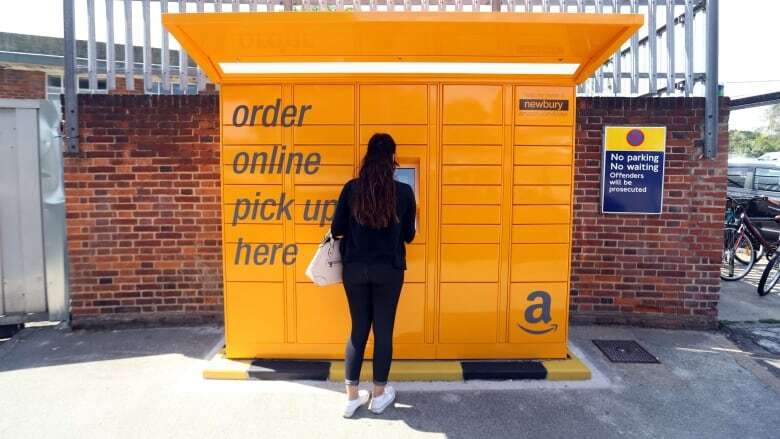 Some retailers have tried to alleviate those concerns by giving e-commerce customers more options, such as picking up items in parcel lockers inside their stores or through depots that expedite the process. Best Buy is taking an extra step when it launches its ship-from-store option on the BestBuy.ca website later this month. The feature is intended to breathe new life into its 192 stores across the country by making them tiny distribution centres. When a customer can't find the item they want in the Best Buy website inventory, they will still have the option of getting it shipped from a store. "We will make any product available to any customer at any time," Thierry Hay-Sabourin, vice-president of e-commerce for Best Buy Canada, told an industry audience at the Etail conference on Monday. He also said that Best Buy's recently-announced Marketplace e-commerce platform will begin operating before the holiday shopping season. Each Best Buy store would allow customers to return or exchange items they purchased online from third-party vendors. It's one of the competitive advantages Best Buy has against Amazon and eBay, who operate similar marketplace forums. "Customers want the ability to buy online and return in the store," Hay-Sabourin said. Best Buy closed all of its Future Shop stores across Canada in March, and is in the middle of converting 65 locations into Best Buy locations. Hay-Sabourin emphasized the importance of bricks and mortar stores to meeting consumer expectations. Best Buy learned a lesson about online shopping when it closed a big box store in a B.C. neighbourhood, and found that shoppers migrated away from the Best Buy-branded website and onto the Future Shop website, he said. Hay-Sabourin said the retailer's internal research estimates about 25 per cent of online sales at Best Buy are motivated by the company having a store in the surrounding area.